Sri Lanka is the paradise island just south of India. About twenty million live here. Since 1983 there is a civil war going on in the north part of the country. More than 65 000 people have been killed. Every year thousands of tourists are visiting Sri Lanka. 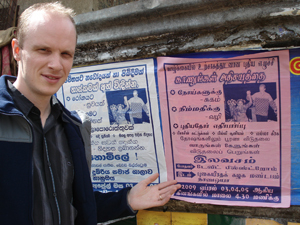 In the end of March and beginning of April David Billström visited the Sri Lanka. The majority of the population are buddhists, but you also have many hindus, muslims and christians. The war has undermined the economy. 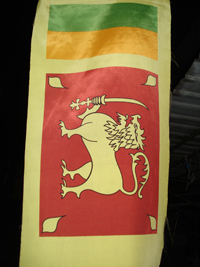 The Tamil tigers, LTTE, are fighting for their rights and self-independence. - While I was there the fights in the north part were very severe, David says. 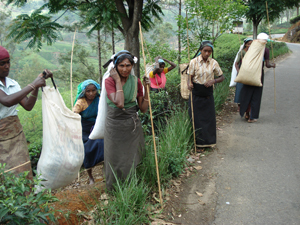 The tamils originally comes from India and came to Sri Lanka during colonial time to work in the tea-districts. Their language is totally different from sinhala, which is the language spoken by most. 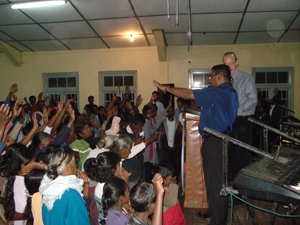 - First I was ministering in Colombo for two nights, in a smaller church. More than thirty new people came and the church was very much encouraged. The David went on to Kandy, the second largest city in the hill area. A strong place for the buddhist faith. Here you will find a famous buddhist temple with the tooth of Budda. - I ministered in a local church and encouraged them in their walk with Jesus, David says. The life for the pastors in Sri Lanka is tough. Some years ago many churches were attacked and put on fire. Then David made his way up in the mountain to Nanu Oya. This village, 2000 meter above sea level is surrounded by teaplantations. 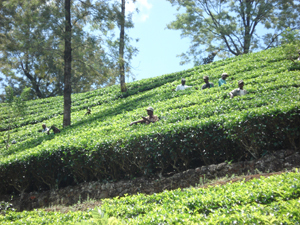 The majority of the people are tamils and work on the plantations. - An indoor festival was planned together with a handful of local churches, David explains. For three nights the gospel was preached and more than a hundred responded to the altarcalls. Now the pastors are busy doing the follow-up. Some also received healing and deliverance. The local pastors worked together during these meetings and a wonderful unity was created. - When we are working together to harvest, the mission unifies us. God bless you and pray for Sri Lanka.